Will NVIDIA's New Maxwell GPUs Revolutionize PC Gaming? Will NVIDIA’s New Maxwell GPUs Revolutionize PC Gaming? If you’ve been keeping an eye on the GPU market, you may have seen some new cards popping up, or even heard some hype about something called Maxwell. Maxwell is NVIDIA‘s new GPU architecture, and the basis of the latest NVIDIA cards. Maxwell is a successor to the ‘Kepler’ architecture that previously encompassed the most powerful cards on the market (including NVIDIA‘s much lauded Titan). Four new cards are out based on the architecture, including the GTX 750, the GTX 750 Ti, the GTX 970, and the GTX 980. Maxwell is a pretty significant departure from past GPU designs in a few interesting ways — and the new cards come with several exciting new features, including VR performance tweaks, and a highly efficient form of ray tracing. Today, we’re going to be digging into how Maxwell works, what advantages it offers, and what those advantages mean for PC gamers who are looking to upgrade, be it for 4K gaming PC Gaming at 4K: Is It Worth The Money? PC Gaming at 4K: Is It Worth The Money? A resolution revolution is on its way. Ultra HD televisions and monitors are finally starting to drop to reasonable prices. Has Ultra HD matured, or is it still too much money for too little benefit? Read More , virtual reality, or just a desire for better-looking Dota 2. Historically, most new architectures have coincided with a die shrinkage. A die shrinkage is a change in the way that chips are made that allows them to be etched smaller and more precisely, allowing more of them to be packed onto a square centimeter of silicon. In this case, that isn’t true: Maxwell is engraved using the same 28 nanometer resolution lithography process as the previous Kepler architecture, although NVIDIA continues to work on their new 20 nanometer process. The advances of Maxwell have instead focused on processor efficiency, taking cues from mobile processors. From their experience developing Kepler, NVIDIA realized that during normal operation of the card, not all of the CUDA cores (the hundreds of tiny parallel processors that do graphics rendering) were active all the time – a significant fraction of them were idle at any given clock cycle. However, even idle, the cores were using power and generating heat, because they couldn’t actually be turned off individually. To help solve this problem, NVIDIA split the CUDA cores up into many smaller blocks, each with its own command logic. This allows individual cores to be entirely turned off when idle, doubling the device’s performance per watt of power, and dramatically cutting its heat production – a scheme already in use in NVIDIA’s line of mobile Tegra processors. One consequence of this is that the lower end 750 and 750Ti chips can be run entirely off PCI power, without the need for six-pin power supply connectors, allowing them to be dropped into existing low-end consumer PCs without the need for additional hardware upgrades. It also means that the cards can run non-demanding applications (low-end games, video decoding, etc.) in silent, “no-fan” mode without overheating, in many cases. The cards can also be overclocked much further using a simple heat sink, without needing liquid cooling. That’s where most of the performance boost of this generation of GPUs is going to come from, compared to the last — although NVIDIA also claims architectural improvements to logic hardware offer a 35% performance boost per-core at a given clock rate. As it turns out, the latest round of GPUs perform pretty well, especially on a cost-performance basis. The stock GTX 980(~$550) and 970 (~$350) sit in positions one and three of the G3D Mark Benchmark, both beating out the ~$1300 Titan Black (an upgrade to the well-received The Most Interesting Hardware Of 2013 The Most Interesting Hardware Of 2013 Read More Titan) — and both of those will likely exceed those scores by a fair margin with the aid of vendor overclocking. The lower end cards do well for themselves too, with both the 750(~$120) and the 750 Ti (~$130) topping the charts on price/performance ratio. Being able to get a solid, midrange card for under $150 is a big deal for bringing people into the PC gaming fold, particularly when that card doesn’t require a power supply upgrade. It’s not all about benchmarks! With Maxwell, NVIDIA is rolling out some new features that are pretty exciting for PC Gaming. The three big areas of improvement are anti-aliasing, ray tracing, and support for virtual reality. Not all of these features are out yet, but they’re in the pipeline, and many of them are going to make a big difference in how we play games. Anti-aliasing is a term for a collection of techniques used to eliminate artifacts that are caused by the discrete nature of computer graphics. If you render to a pixel on the edge of an object, your raster algorithm will either report that it is either on or off the edge. The result is a harsh, jagged edge. The solution is to sample each pixel several times with minor offsets. As a results, at the edge of an object, some samples end up on the edge of the object, and some don’t – this gives a much cleaner blending between the edges of objects and also makes textured surfaces look more consistent from frame to frame. Ultimately, most kinds of anti-aliasing boils down to sampling some pixels more than once. MFAA is a relatively new kind of anti-aliasing, which emerges from the observation that most pixels simply don’t change that much from frame to frame. Put another way, why render the same pixel more than once if you just rendered almost the same pixel one frame ago? MFAA stores the last frame that was rendered, and merges it with the current frame, dropping the new information when it heavily conflicts (because the object has substantially moved). This gives a better visual result for a minimal additional computational expense. This approach works best when game frame rates are high, to minimize the delta between frames. Maxwell now supports MFAA, offering a high-performance anti-aliasing mode to help raise the bar on the visual quality available to consoles and low-end PCs. A difficult problem in computer graphics has to do with how light moves from one surface to another. Casting hard shadows is computationally straightforward, but subtle effects can be harder to replicate. One effect that most modern games neglect is the movement of light from surface to surface: colors bleed, objects touching each other create subtle shadows that ground them in the world. These shadows can be baked in, but they won’t work for dynamic or reflective objects, or near moving lights. Unfortunately, computing these effects in real time can be very expensive. One approach to this problem is to use a technique called voxelization to generate a simplified version of the scene that can be efficiently parsed by an algorithm. This simplified version can provide realistic, real-time illumination for the scene quickly. Maxwell offers hardware support for this process. Virtual reality is one of the most exciting gaming technologies Why Virtual Reality Technology Will Blow Your Mind in 5 Years Why Virtual Reality Technology Will Blow Your Mind in 5 Years The future of virtual reality includes head, eye and expression tracking, simulated touch, and much more. These amazing technologies will be available to you in 5 years or less. Read More , and NVIDIA has announced a number of VR specific-features in the works, including low-latency mode, one-GPU-per-eye SLI rendering, and asynchronous time warp. The low latency mode is crucial for allowing the image in front of your face to change fluidly with the motion of your head. Per-eye-SLI lets you use the power of multiple GPUs, without the latency normally introduced by the SLI process. Asynchronous time warp, originally one of John Carmack’s brain children, is a technique which allows driver-level re-projection of a rendered frame to a new perspective (using the depth map produced by the renderer as the basis for the transform). In other words, asynchronous time warp allows the user to “look around” inside a single rendered frame, even if the render hasn’t produced a fresh image yet. This decouples head motion from rendering, allowing it to remain fluid regardless of how low the framerate drops, critical for avoiding VR sickness during framerate drops. 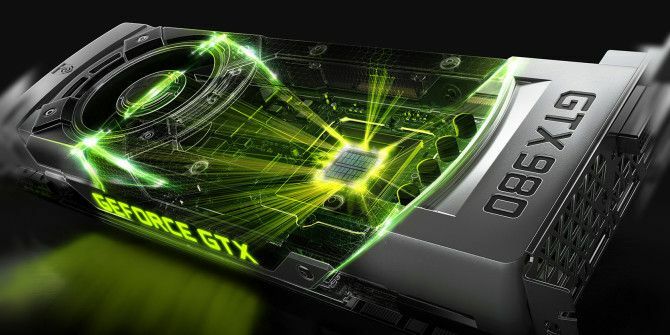 These features are not yet available, but NVIDIA assures us the drivers are in the works. The highest end Maxwell GPU tops the performance charts — but not by a lot. Most of the advances it shows off are subtler efficiency improvements. These can still be very valuable, and can bring high-performance gaming into the hands of a wider user base. Beyond that, the new VR and rendering features are very cool and worth talking about. That said, the jump in performance over the previous state of the art isn’t all that big: we’re not really talking about elevating what’s possible, computationally. That’ll have to wait for either heavy vendor overclocking, or possibly (if we’re very lucky) a 20nm version of Maxwell at a later date. Either way, the future of GPU technology is exciting, and there’s a lot of interest in exactly where it’s going. 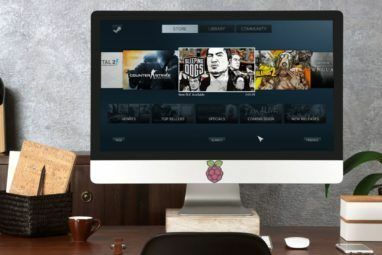 Explore more about: Steam, Video Card. I wonder how the openGL support will be for these? I'd love to get one and try Blender 3-d rendering on Linux with it. i have never tried this because I always uses LAN wires for my internet connection but after seeing your post I think I have to use my Sony phone for internet. I have a 970 in my main desktop and I've been recommending the 750TI for modest gaming in spite of long-term antipathy toward nVidia products (I don't think nVidia reference cooling systems are adequate, leading to a lot of cards that die prematurely). Current ATI hardware is roughly comparable in terms of benchmarks, but nVidia's stuff only needs about 1/3 the power to operate. The efficiency difference is simply too high to ignore, even factoring in the inconvenience of having to RMA a prematurely deceased graphics card. Since PC games these days are mostly crappy console ports and current console hardware has only a modest fraction of the performance available to a $300 Geforce 970, I'm probably set for all my gaming needs at least until next generation consoles are released. In my experience, the 750Ti is entirely adequate for any PC gaming done on a single screen at 1080p. 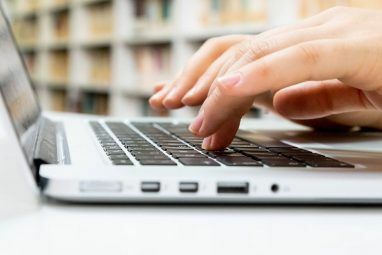 Since it doesn't need any extra power connectors and has a low-profile variant, it's a very good choice to upgrade a desktop for modern gaming. Have you ever tried playing a game 1440p resolution with gsync in nvidia. You will know the difference between console and PC right there. Now 4k is getting mainstream. Even a dual gtx 980 is not enough for it. My main monitors are both 2560x1440 and I do own a (crappy) 4k monitor, but I'm not so interested in gaming that I feel the need to chase marginal framerate differences. I'm sure I'll be running everything I want to play at max settings for the next few years. Then you are the kind of person that got bored by having a ultra high and PC. Your user name reveals it rightly. Too bored, my asumption is right? Why don't you sto playing games for 2 years and then start it again. It may help. I don't really like the direction that PC gaming has gone in the last 10 years . 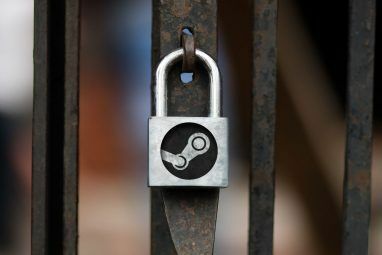 I've been saying for years that consoles are holding back gaming, but I also dislike Steam and believe the trust and good will that PC gamers show to Valve is ill advised. I do have high end hardware. I'm a grown up and I deal with computer hardware as part of my professional life., so I'll have a nice machine at home as a matter of course. However, mainstream gaming is a lot less interesting than it used to be not because I'm bored of gaming but because I'm not impressed with state of the art consoles just now getting to the place my computer was in 2010 and the refusal of developers to extend being that point. For the most part, the kinds of games I like are being eschewed by major studios in favor of titles that are bowdlerized by shifty console input and information sparse UI constraints. Just the same, if I find a gamer I want to play and it's being distributed in an acceptable fashion (I.e. not Steam or Origin), I want it to work. Hence the somewhat high end GPU. You are right about consoles holding back the games. It has something to do with console gamers mentality to not buy anything more than 399$. Poor optimization for PC's is also frustrating. For that case having a high end PC always helps.